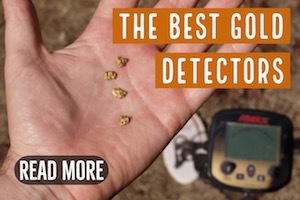 Could there be a lost gold mine somewhere in the Death Valley? 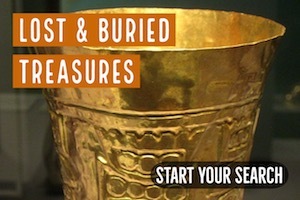 Many believe that there is, and millions of dollars worth of gold are still waiting to be found! 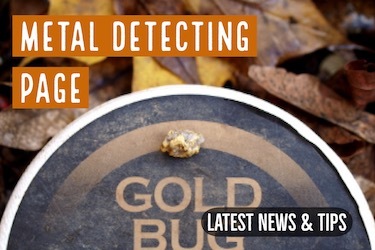 As with so many other stories about lost gold, this story has several versions. Most accounts agree that in 1849 two brothers, Charles and Joshua Breyfogle and possibly a third brother, set out from Lockhart, New York and headed west to find their fortune. 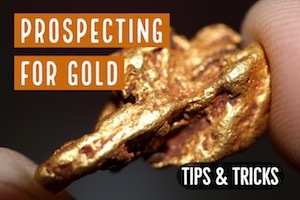 They joined other prospectors in Columbus, Ohio. Traveling west toward the California gold fields, they arrived on August 14, 1849 in Sacramento, California. The brothers made their way to the Chico River and Butte Creek areas, but had no success mining for gold there. In January of 1850 on the Yuba River, they searched for gold above Marysville, which had developed into a gold rush tent city. Again they had no luck and the following month they traveled upstream to Goodhues to work a new claim. Along the banks and in the river bottom, their efforts were rewarded and they began to find gold. Charles returned to New York in 1850 with $20,000. Joshua remained behind to continue working their claim. The following year Charles returned to California and tried his hand at politics, but after being tried for fraud following the loss of county funds in excess of $6,000, and being pitched into jail (although eventually released), he evidently decided politics was not for him. He took up prospecting again. 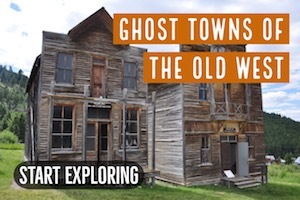 When a rich silver strike occurred in Nevada, Charles traveled to Virginia City. There were tales of the Big Smoky Valley having rich gold deposits, and Charles decided to open a real estate office in Geneva, a nearby mining town, but by the time of his arrival the heyday was over, veins were running out, and he was again on the lookout for a new opportunity. Charles overhead several men talking about a map in 1863, and felt sure they were talking about a legendary mine known as the Lost Gunsight Mine of Death Valley. They departed the following day, and after tracking them across Nevada, he managed to catch up with them somewhere between Goldfield and Tonopah. Much to his dismay, I’m sure, he discovered that the men were not prospectors at all, but were traveling to Texas to hook up with the Confederate army. One account indicates that Breyfogle was traveling with them with the purpose of joining up, but most stories suggest that he was just along for the ride. A few nights later, while camping in the Mohave Desert south of Ash Meadows, Charles laid out his bedroll some way apart from the other men. Being awakened in the night by the sound of the other men being attacked by Indians, he grabbed his boots and bedroll and hightailed it out of camp. Other stories have the poor man leaving his boots behind after being partially scalped but escaping the Indians, and having to walk in the desert barefoot. Due to his hasty retreat, he had no food or water, and stumbled around in the desert for a few days before finally coming upon a small spring, which no doubt saved his life. 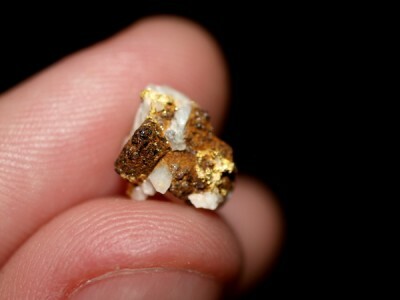 As he drank, he saw a quartz deposit containing gold, some stories indicating that the samples were 50% gold. Taking a few samples with him, and making note of the place he planned to find his way back to civilization and file a mining claim on the area. Traveling south he arrived at Stump Spring, which is located in the Pahrump Valley of the Mojave desert, and waited there in an effort to hook up with any wagon train that came along. Once again Breyfogle encountered Indians, this time a band of Shoshones. One account suggests that he was clubbed unconscious, robbed and left in the desert. Another account indicates he was taken prisoner and worked as a slave, helping the women with their work. After several months he was rescued by a Mormon wagon train that visited the Indian village and ransomed him. He was transported to a southern Nevada ranch located at a place called Manse Spring, where he was kindly treated and recovered his health. In gratitude for his rescue, he told the ranchers of the discovery of gold at Stump Spring and showed them the rock samples he had kept with him. Charles Breyfogle moved back to Austin after recovering his health and searched northeastern Death Valley for 26 years, trying to relocate his great find. He never found it again, but declared he was going to die trying. He insisted the gold was real until his dying day in the late 1880s or possibly the early 1890s. 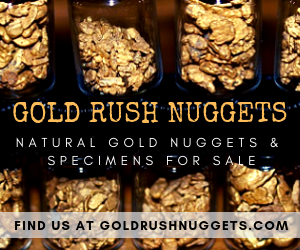 A man by the name of George Montgomery was a believer in Charles Breyfogle’s lost mine and discovered gold north of Pahrump in January of 1891. He started up a mining operation there known as the Johnnie Mine and in a short time over 100 miners were working the area and a stamp mill had been built in 1895. A town grew up there, but it was pretty much abandoned by 1914. Very little remains of the camp except for a few mine shafts, a few old buildings, and some foundations. Many researchers believe the Johnnie Mine was in fact the very gold that was discovered by Charles Breyfogle while wandering in the desert. Some are inclined to believe it is located in the Amargosa River Valley in California. But of course there are others who believe it has never been found, and so they continue the hunt for Breyfogle’s Lost Gold.